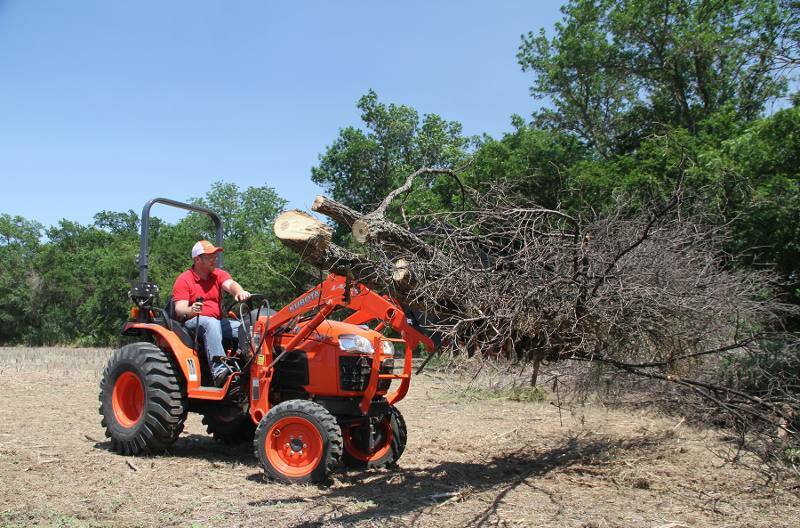 Attaches to power equipment easily: Uses universal quick hitch design for quick and easy attachment. 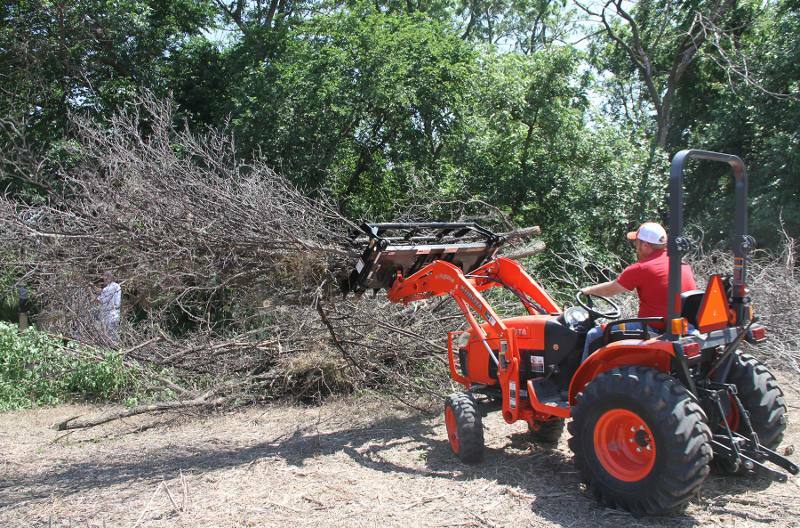 Universal quick hitch option or old style Kubota B Series hitch option: The quick attach plate mounted grapple can be attached to a wide variety of machines. No mount option: This option has no mount on the back of the grapple and allows the customer to install a mount of their preference. Greasable hardened bushings at upper grapple pivot locations: Bushings can be replaced if needed. 1" Pivot pins: Large diameter pins for extra strength. AR400 teeth material: More than double the strength of mild steel. Hardened bushing at cylinder mount points: Bushings can be replaced if needed. 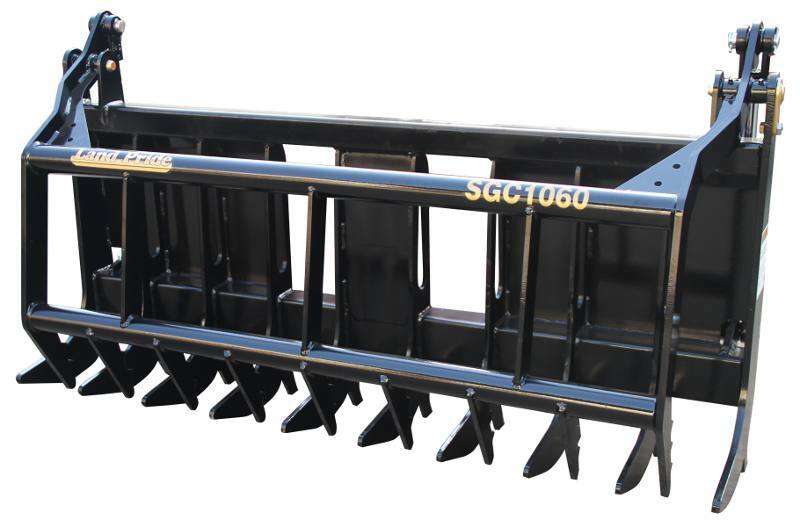 Rear facing lower teeth: Can be used for pulling roots or back dragging. Weight - Universal Quick Hitch: 389 lb. Weight - Kubota B Series Hitch: 378 lb. Closed Height: 34 1/8 in. Claw Inside Opening: 43 3/4 in. Working Length of Teeth: 11 1/2 in.